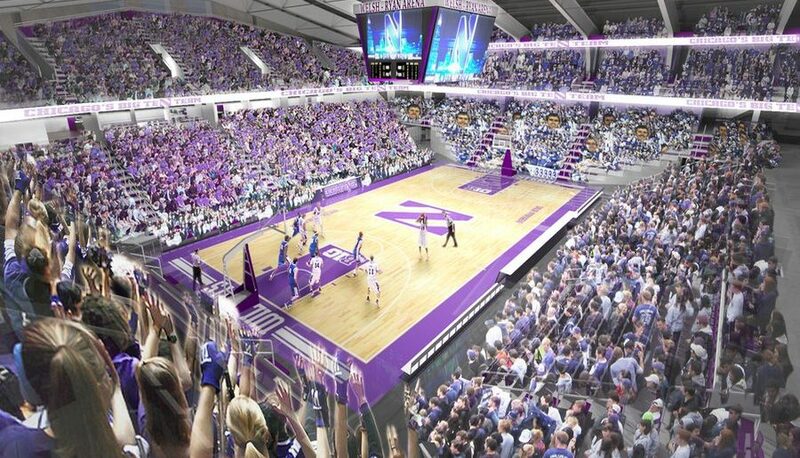 Northwestern just didn’t have enough on Saturday night. Its offense struggled with efficiency, its defense struggled to get off the field, and No. 20 Nebraska’s offense, led by senior quarterback Tommy Armstrong, Jr., put up 556 total yards in a 24-13 Wildcats defeat. The game started with a strange play on the Cornhuskers’ first drive, as Nebraska running back Terrell Newby broke free for a 49-yard run but fumbled the ball as he dove untouched for a touchdown. The ball rolled out of the back of the end zone, resulting in a touchback and NU possession. The Cornhuskers eventually drew first blood, however, after nailing a 23-yard field goal to take a 3-0 opening lead early in the second. 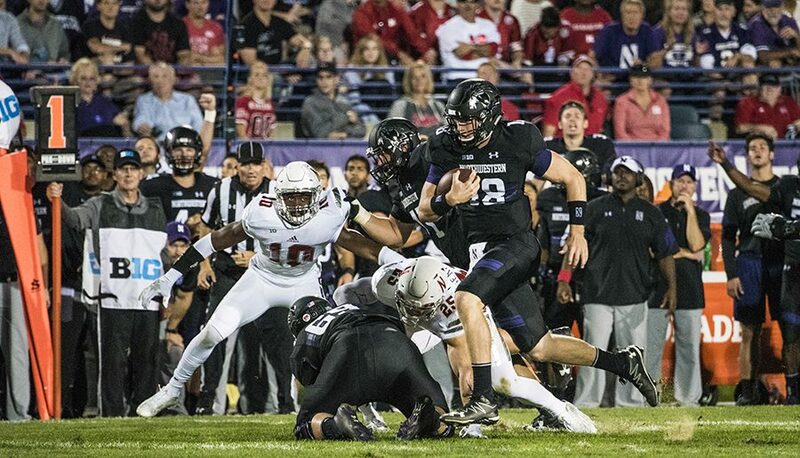 The Cats struck back, though, when Thorson got to the edge on a designed quarterback run and turned on the afterburners on a 42-yard touchdown to give NU a 7-3 lead. That lead stood briefly after a goal-line stand ended with junior safety Godwin Igwebuike ripping the ball away from Nebraska running back Devine Ozigbo and the Cats recovering the fumble. But on the ensuing drive, the Cornhuskers finally broke through for a touchdown after a 59-yard reception by receiver Alonzo Moore set up a short Newby run for six. NU had a chance to tie with a 40-yard field goal at the end of the half but instead chose to attempt a fake, which was unsuccessful. The Cats got the ball to start the second half, but a Thorson interception on a throw to the end zone stopped a promising drive. Nebraska marched back down the field on the next drive, and Armstrong hit on a four-yard touchdown pass to Cethan Carter on third down to take a 17-7 lead. NU responded quickly, with Thorson hitting senior wideout Austin Carr for a 24-yard touchdown, but senior kicker Jack Mitchell missed the extra point, leaving the score at 17-13. Mitchell continued his nightmare start to the season after a missed field goal in the first quarter. From there, Nebraska controlled the game, constantly finding holes in the Cats’ defense through the air and wearing it down on the ground. An end-around touchdown by receiver Jordan Westerkamp late in the third quarter gave Nebraska an insurmountable lead, as NU’s offense couldn’t find a way to score for the rest of the game. Thorson: 24-for-37, one touchdown, two interceptions; 10 carries for 43 yards and one touchdown. Mitchell: 0-for-1 on field goals, 1-for-2 on extra points; now 1-for-4 on field goals for the season. 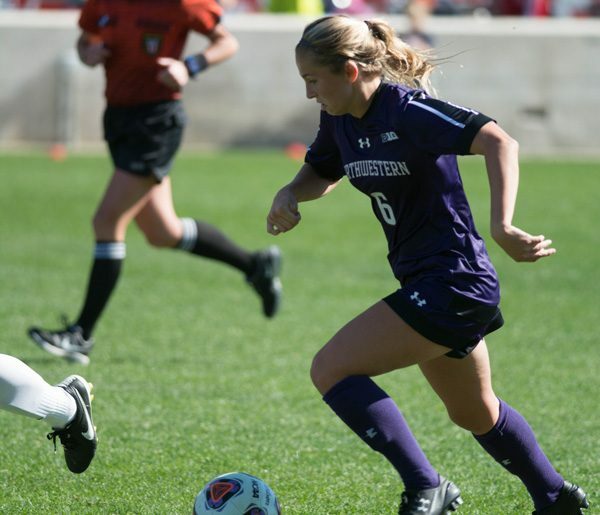 After taking out Purdue 2-0 for their ninth-straight victory on Sunday, the Wildcats jumped to No. 21 in the NSCAA Coaches Poll released Tuesday. This is the highest Northwestern has been ranked all season, as the team ranked 24th on Sept. 6 before dropping out of the rankings last week. The Cats joined Minnesota, Penn State and Rutgers as Big Ten teams among the Top 25. NU has been on a tear recently and hasn’t allowed a goal in the month of September. The only goal the Cats have allowed all season was in a 2-1 win over DePaul on Aug. 25 in their third match. 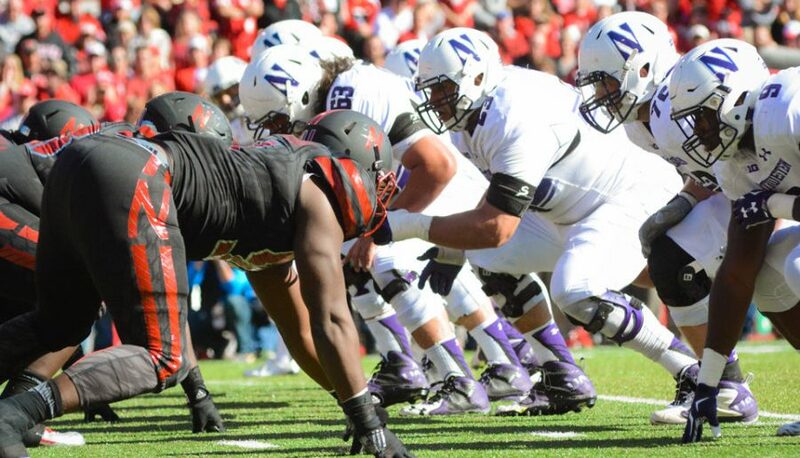 As it begins to enter the heart of Big Ten play, competition should heat up for NU. On Friday, the Cats will take on No. 22 Rutgers, their first ranked opponent of the year. NU managed to take out Rutgers 1-0 at home last year, but the Scarlet Knights have already proven their might this year, as they topped No. 23 Connecticut 2-0 on Aug. 28, and are coming off a national semifinals appearance last season. After finishing up a six-match home-stand with the win over the Boilermakers, NU will be on the road for the next two weeks as it look to keep up the momentum from its perfect start to the season. Sophomore forward Eva van Agt was named Big Ten offensive player of the week, the conference announced Tuesday. van Agt, who has started every game this season for the Wildcats, led the team with 3 goals in a weekend sweep of Ohio State and Kent State. She scored 2 of her goals against the Flashes on Sunday and also added an assist in the 4-1 victory. van Agt scored on all three of her shot attempts over the two games. van Agt got her name on the scoresheet in a variety of ways. She converted from a penalty corner on Friday, then displayed some individual ability to score her first goal Sunday before capping her weekend with an acrobatic finish on a pass from junior back Sophia Miller. After finishing her freshman year third on the team in scoring, she is currently tied for third with 4 goals on the season. The award is the first of van Agt’s career, and the first award an NU player has received this season. The Cats, who jumped from No. 15 to No. 11 in the NFHCA Coaches rankings this week, will return to action Friday by hosting No. 4 Penn State.